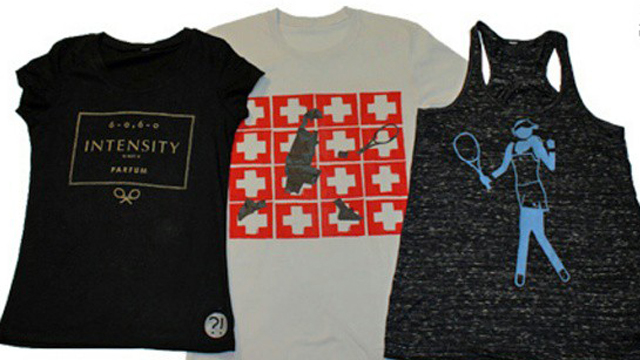 The 2014 season may be over, but tennis will keep on giving throughout the holiday season with SI Tennis' Holiday Gift Guide. 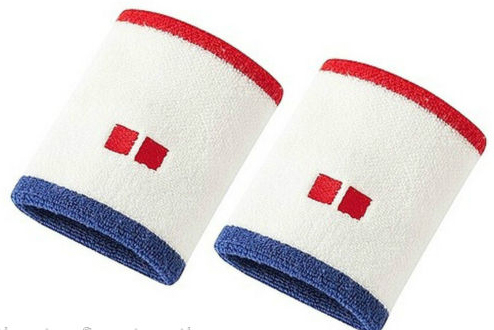 We scoured the depths of the internet to search for a handful of memorable and thoughtful gifts for the everyday tennis fan, as well as a unique gift for the fan of every WTA and ATP top-ten player. Can't get enough of Rafael Nadal? We've got the perfect present for you. Is Eugenie Bouchard your sister's favorite player? You'll definitely want to take a look at the perfect t-shirt we've selected for her. Check out our round-up of holiday cheer below! The company makes fantastic t-shirts that may or may not be generic homages to very specific and distinctive players. Click through their offerings (men and women) and see if you can guess who is who. 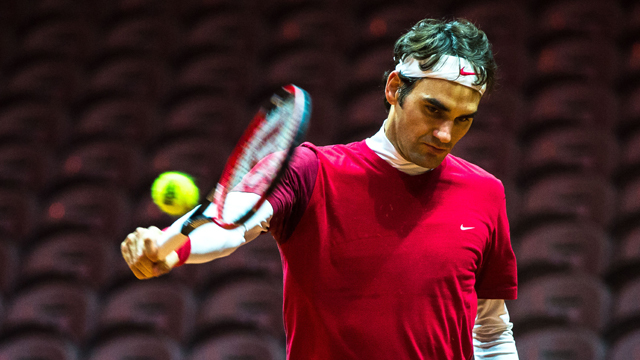 Hey, if Roger Federer can upgrade a racket to get with the times, so can you. But just like Federer, you need to play-test your rackets to find "The One". Many online tennis shops, like Tennis Warehouse and Tennis Express, offer racket demo programs. Just pick a few rackets you want to try and they'll send them to you for a week. All you have to do is pay the shipping. Come on. These were the coolest kicks of the year. Forget those Nike ones that seem to go the length of your arm. These Uniqlo ones are simple and kind of retro. 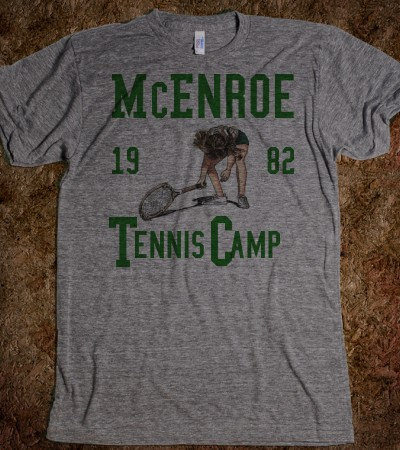 This is the perfect John McEnroe t-shirt that is sure to delight. 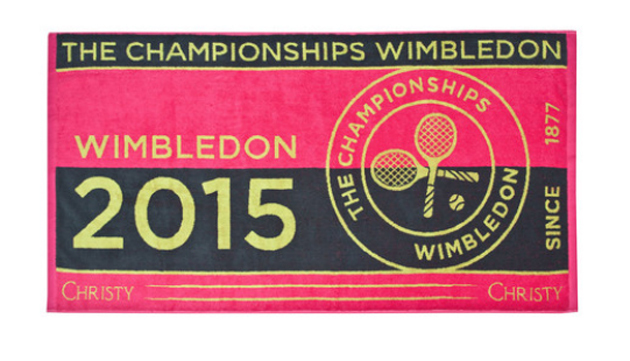 For the fans of Li Na, Stan Wawrinka, Maria Sharapova, Rafael Nadal, Petra Kvitova, Novak Djokovic, Serena Williams and Marin Cilic, you can get this towel in different colors and you can even personalize it. Simply drag the slider to reveal the gift for each player. Serena loves her comic books and comic book movies, and her love for Robert Downey Jr.'s Iron Man knows no bounds. So get her No. 1 fan an Iron Man onesie, tweet Serena the selfie, and I bet she'll get a retweet. Alright, we know: this isn't particularly creative. But you could do worse than pick up a couple of bags of Sugarpova for the Sharapova fan in your life. Besides, isn't gifting unnecessarily-overpriced sweets the whole point of the holidays? Alternatively: A subscription to Vogue. Her biggest fan might as well read what Maria reads. No one loves Romania more than Halep. Help her No. 1 fan show his or her support by draping them in questionably sourced "Romanians are My Homies" gear. This shirt is as close are you're going to get to finding a "Pojd!" shirt. It was a six-year process for Ivanovic to work her way back into the top five and she credits Tolle's book for helping her along the way. Popcorn was the fuel behind her fantastic marathon performance -- well popcorn and her world class athleticism -- so give her No. 1 fan some of America's best, Garrett's Popcorn. A Care Bear is a great cute and cuddly reminder so you never pronounce her name wrong. Cibulkova launched her own clothing collection Domi in February, so her biggest fan would love nothing more than an item from her namesake designer line. You can choose from graphic tees, sweatshirts, hats and even this cute keychain. Pome! Regardless of how you feel about the gluten-free diet approach, you can't deny the fact that it transformed Djokovic from a guy who everyone made fun of for being soft, into tennis' No. 1 player. So give his most worthy fan a taste of what it's like to be Djokovic for a day. Bonus points if you can also bundle this with a poodle, a newborn son and Jelena Ristic. The best thing about gifting RF's warm-up sweater it works both as an earnest gift and an ironic gift. The worst thing is the price. Nadal famously said he didn't like dogs because he "doubts their intentions." So get his No. 1 fan a calendar full of cats, which should also serve as a reminder that, like a cat, the ever-injured Rafa has nine-lives. Is there any doubt he's going to tear it up next season when he's back to 100 percent health? It's been impossible for us to shake the Prince of Tennis protagonist's resemblance to Nishikori. Setting that aside, it's a pretty fun show about a Japanese tennis academy. Oh, and last week Nishikori was presented with a limited edition Jaguar bearing his name (which you can buy if you have the coin) and a mock-up of him as the Prince of Tennis, by the animator himself. There is no player on the ATP who speaks as highly of his female counterparts. Chalk it up to having Judy Murray as a mom or just his innate willingness to see sports without a gendered lens, but Murray is a feminist in ATP clothing. He doesn't blink in hiring Amelie Mauresmo, got excited when Spain hired a woman as Davis Cup captain and has surprisingly deep knowledge of what's going on on the WTA tour. So make sure his No. 1 fan grows up the same. Or you can gift Mario Kart or Pro Evolution Soccer. That'll work too. Portishead's "Dummy" or that shirt. Portishead is of Berdych's favorite bands, so his super fan should listen to the same tunes. But if your Berdych fan is already too cool for school, Berdych's iconic Hawaiian shirt should bring him or her down a few notches. Tennis isn't a sport with too many player-specific jerseys, so looking like your favorite player is the next best thing. Your Raonic fan will spend hours in the bathroom trying to get that Raonic hair just right. (A tip from the man himself: "The secret is to not make it look like too much effort, but to know how much effort it really takes.") Be sure to top off the look by cutting off one shirt sleeve. Voila! You are now Milos Raonic's doppelganger. This iconic t-shirt is the best way to show your love for a city and Cilic surely loves New York. Throw in a CD of Frank Sinatra's greatest hits for added effect for the U.S. Open champion's biggest fan. You can't get through one broadcast of a Ferrer match without some reference to his terrier-like relentlessness. So go down to your local dog shelter, find yourself an indefatigable little pup, name him "Ferru" and unleash him on your Ferrer-loving pal. Lotto headband optional.